Polish researchers have published a letter in Biotechniques discussing ethylene emissions from nylon. Doesn't that strike you as odd? This emission is important to the researchers and other people performing plant research as ethylene is well known as a plant hormone (and it is effective at the parts-per-billion level or less), so if you are sprouting seeds on a nylon membrane (as is commonly done) and the membrane is outgassing ethylene, then you potentially have a problem. Does the process of charging the nylon introduce the ethylene? Do the solvents used in the casting process contain any ethylene? Lastly, I wonder if the source of the ethylene is something as simple as the membranes being slipped into a polyethylene bag as a primary package when they are shipped. The membrane could absorb ethylene outgassing from the bag. One bit of research (Science Magazine, subscription required) that had a lot of discussion (here and here) this past week or so has been the development of a "thermoset" plastic that can be heated and allowed to flow as a thermoplastic does. I do think the research is interesting and should prove to be quite useful in the future, but what I really dislike is all the hype that these reflow characteristics are so unique and novel - they are not. Styrenic block copolymers and other thermoplastic elastomers show this behavior all the time - they are nondeformable materials at room temperature, but when you heat them up, they become liquids that can be shaped to any form you desire. The materials are made up of blocks of two different polymers along the same chain. At room temperature, the blocks phase separate and form physical crosslinks that prevent deformation. Upon heating, the physical crosslinks soften and allow the material to flow. What is novel in the latest research is that the crosslinks are chemical, not physical. Heat reversibly breaks up the crosslinks, while cooling restores them. That's a neat trick that I've not seen before and is certainly worth the discussion. It's just that the thermomechanical behavior isn't novel. Everyone knows that you shouldn't compare apples to oranges, but then why can some people compare two items that are even more dissimilar and publish it as innovative research? That's what happened over the weekend, when researchers from the University of Sheffield compared silkworm silk to high density polyethylene (HDPE) (subscription required)(here is a open access review), and Surprise! Surprise! found that the silkworm is more efficient at polymer processing. What a dreadful comparison. Chemically the two materials are entirely different - silk is a multiphase polyamide while the HDPE is a polyolefin. Moreover, the two materials aren't processed at the same temperatures, and yet this allows the researchers to win a strawman argument by showing that the silkworm is more energy efficient since it doesn't need heat and/or high shear to produce orientation in the silk. and you don't even have to look closely at the the synthetic strand to see that volumetric production rate for the synthetic polymer is more greater than for a silkworm. A further fault in the comparison that the researchers made was that the silk is solvent spun (from water) while the HDPE used in this example was not (even though HDPE can be gel spun at room temperature). While the mechanical properties of silkworm silk are different (tougher) than those of synthetic nylon, not necessarily better. Depending on what your design requirements are, tougher may not be desired at all. And lastly, while silk does have a unique set of properties that scientists cannot yet match in one material, keep in mind that the silkworm was been developing their materials for millions of years while synthetic polymers have only been in existence for less than a century. Why the researchers chose to overlook all these facts is beyond me. Surely they can't be that desperate for a publication that that they need to stoop this low for it. I'm out of the office for the rest of the week (thanks to the miracles of modern technology, this post was typed up last week and is only appearing today) enjoying time with family and a turkey (the kind you eat, not the type of person you avoid). Posting will resume again on Monday, November 28th. I admit that I have always had a very hard time throwing away books. I've always loved books as long as I can remember and working in the local public library in high school furthered that love. Undergraduate education and then graduate school led to the acquisition of more books that I still refer to on a regular basis. Considering how much the Gutenberg press changed the world, and how governments have burned books in order to keep power, a book has always been too valuable to just trash, and so I've always found someone else to take the ones I have no longer wanted, with libraries being a favorite option. Strangely the librarians that I've known have either felt exactly as I have or been of the extreme opposite, being able to toss one without a second thought. I didn't have a problem with the library throwing it out, as the blood was on their hands and not mine. I discovered this weekend however, that those feelings are beginning to change in me. I had no problem with tossing out a couple of old dictionaries and a thesaurus. I hadn't used them in years, relying instead on online dictionaries, and I can't imagine a library taking them for pretty much the same reason. (I'm keeping the Scrabble dictionary however, as that is an integral part of the game as much as the board and tiles are.) I still can't imagine tossing other books just yet, but suspect that that too will change in the future for me. I've haven't yet picked up a Kindle/Nook/electronic book reader, but I know that at some point in the future, I will own electronic books. At the same time however, I don't think the attachment will be there. I anticipate being able to easy delete those kind of books, maybe because of the whole easy-come/easy-go syndrome, and as those books become more ubiquitous, I think it will lessen my attachment to paper books, much like internet dictionaries have done so with paper dictionaries. I find it strange that easy access to information in one format cheapens the information in other formats. As I've mentioned before, plastic garbage has no business being in the ocean (or forests, fields, etc. for that matter). With rare exceptions , humans are to blame for releasing plastic into the environment. The plastic did not get up and run into the ocean all on it's own. As much as I hate posing dichotomies , in this case there are basically just two approaches to "solving" or preventing the problem. One approach is to ban plastics or at least some plastics, such as the bag bans occurring around the world. The other approach is to change human behavior so that humans prevent the release of the plastic into the "environment". What is somewhat strange about this dichotomy is that the two sides are not equal in effort. Bag bans are in the news constantly, but little is being done to change human behavior. You see this uneven dichotomy in a wide range of other "problems". Guns for example, have one side attempting to ban them while little is done by the other side to prevent their use in crime. Drinking and driving is also being ever increasingly criminalized without an equal increase in preventing it. The only example that I can think of where the forces are reversed is with matches. 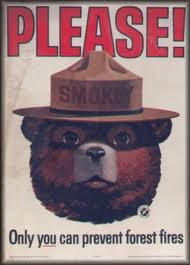 Here in the US, we have had a decades-long, public-ad campaign featuring a cartoon bear (Smokey the Bear) who's tagline is "only you can prevent forest fires". No one is actively trying to ban matches - the focus is entirely on changing human behavior to prevent fires. The effectiveness of Smokey's campaign (he and his message have extremely high recognition in the general public), efforts to change human behavior can be successful. So why aren't we doing this with plastic bags and other forms of plastic pollution? I bring this up as both the Plastic New blog and the SPI blog, In the Hopper have recently discussed the marine pollution conference that occurred in Dubai. While I commend their efforts and desire for success, unless the programs are on the scale of a Smokey the Bear campaign, they will likely be too little to change anything. A variety of natural disasters can unintentionally introduce plastics into the environment, but these events are small and infrequent. Just 2 options for solving a problem? Only if you are uncreative. I've been wanting to write about Axion International for some time, ever since I saw a military tank driving across a plastic bridge that they made. And not just any plastic, but recycled plastic. That was back this summer if I recall correctly. 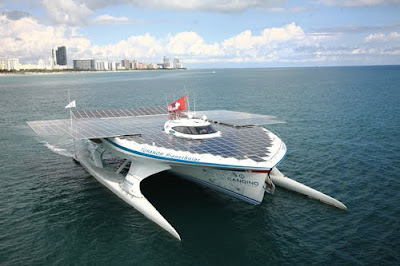 But now Axion has announced that one of their bridges will be used on a public road here in the US. This may seem like a risky proposition, but as I already mentioned, the military has used these bridges as well as railroads, so automotive traffic should be a non-issue. The low maintenance issues will be a definite benefit in a northern state such as Maine (I'm assuming that they use salt on their roads in the wintertime as we do here in Minnesota). The Axion International website http://www.axionintl.com./has multiple videos showing their bridges in action. Assuming that the product performs (no reason to be otherwise), the use of these bridges will only continue to grow. 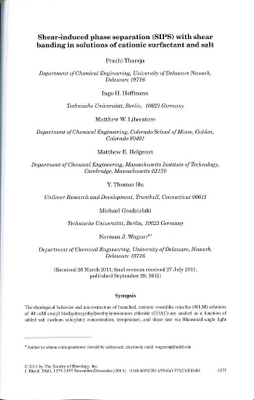 I don't know if I've ever seen 7 authors from 5 different institutions before for a run-of-the-mill paper before. 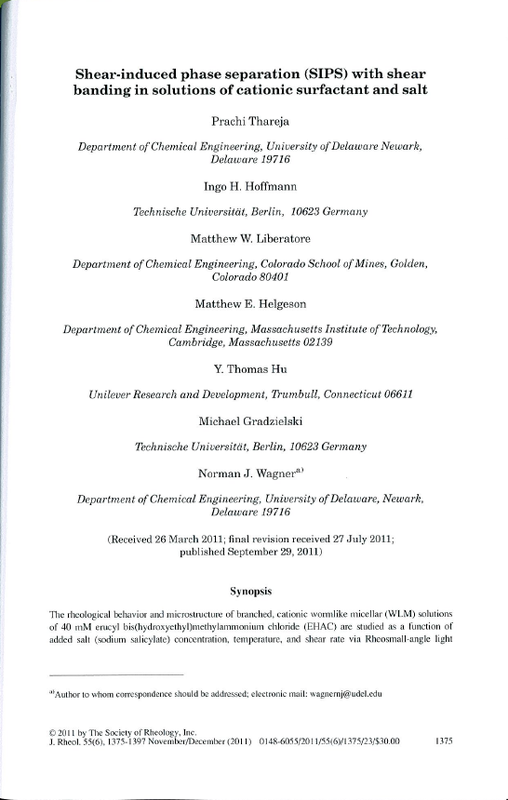 Sure there are the blockbuster papers such as those of the human genome, and the eventual papers on the Higgs boson, but this is just a 22-page long rheology paper. 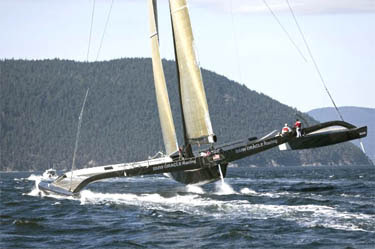 The connection between America's Cup (that race held at irregular intervals to determine whether the US's millionaire sailors are better than those from around the world) and fracking, the technique of injecting fluids under pressing into gas-containing formations of rock to release the gas trapped within, may be difficult to see at first, but stick with me, this is a story unlike anything you have seen that will have you laughing by the end. Unless you already know the connection, there is no way you can imagine what I will tell you here. The use of fracking to produce petroleum gases is growing in the US and around the world. Polymer producers - those making polyethylene(s) in particular - are quite excited about this as a good amount of ethane is mixed in with the methane. Being too high in fuel content to burn, the ethane is separated from the methane and sold to be polymerized (after conversion to ethylene of course). One of the larger formations in the US being fracked right now is the Marcellus shale formation which underlies large swaths of Pennsylvania, New York and West Virginia. 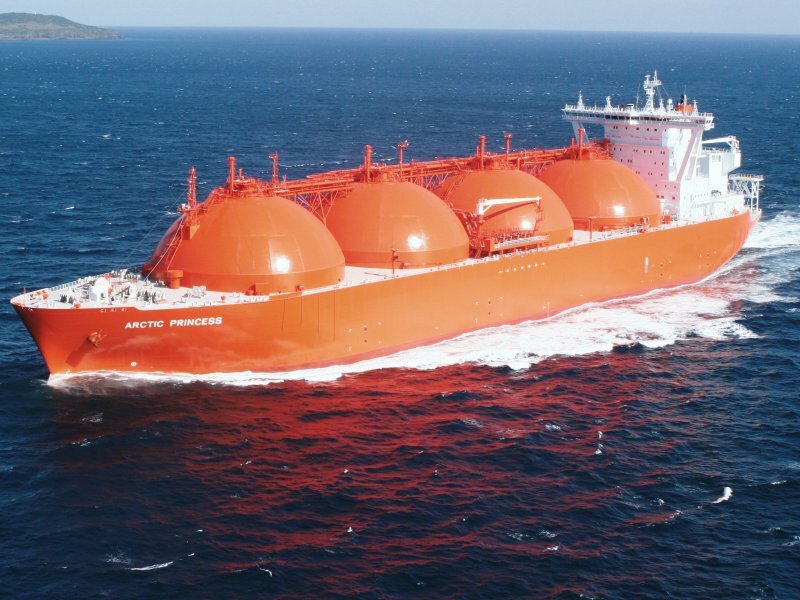 "... the LNG vessels that hold the supercooled liquid fuel in large spherical tanks now sail under foreign flags. A law known as the Jones Act requires that all ships carrying cargo between U.S. ports must be built, owned, crewed, and maintained by Americans. The ships Sunoco would charter are American owned and were built in the late 1970s in Massachusetts. But they were reflagged in the Marshall Islands in the 1990s. It requires an act of Congress to reflag the vessels as American, which would require them to use U.S. crews. [Senator] Toomey and Rep. Pat Meehan (R., Pa.) devised a novel way to reflag the tankers by including them in the America's Cup Act of 2011, special legislation that would permit 60 foreign vessels to participate in the America's Cup yacht race. The law is expected to receive final Senate approval and the president's signature this week, before the America's Cup race is scheduled to start Saturday in San Diego." Highline Polycarbonate has the second of series about the internal optical properties of polycarbonate - birefringence, the stress-optic law, etc. The articles are very well written and I would recommend them to anyone working with glassy polymers, PC or otherwise. The first article (you probably should read them in order) is is here while the second one is here. A third article is promised in the near future as well. It's pretty well known that polymers (and all organic materials for that matter) can fall apart when they are exposed to UV light. The energy of the photons (E = hc/λ) is in the same order of magnitude of the energy needed to break the chemical bonds  and so the end result is not too surprising. In some rarer cases, visible light can do the job too on certain bonds, although this happens only with small organic molecules, not full-length polymers. Since visible light has less energy than UV, the bonds being broken are inherently weaker. 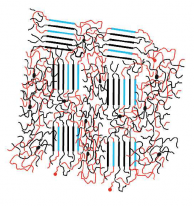 Trying to build a polymer with such bonds in the backbone would be especially problematic, since with the high number of bonds in a polymer, the odds of one of them breaking (and thereby degrading the molecular weight of the polymer and corresponding mechanical properties) would be pretty high. So the report of a polymer completely degrading upon exposure to near-IR light (with their even lower energy photons) can be an eye opener , unless you know what it really occurring behind the scenes. The trick is not for the bond to absorb one photon, but to simultaneously  absorb two of the photons. The total absorbed energy is now 2hc/λ, so if λ = 470 nm (barely in the near-IR), then the energy absorbed in the bond is the equivalent of a single 470/2 = 235 nm photon, and that's plenty energetic to degrade most organic bonds. The challenge preventing widespread adoption of this technique is that the near-IR light of each individual beam is not strongly absorbed on its path thought the material, so the odds of having the two photons absorbed in the needed time interval is also unfortunately small. But with the challenge also arrives a tremendous processing advantage: with two-photon absorption, the degradation reactions can be localized to very small spaces if the two photon beams arrive at right angles to each other. Furthermore, this local reaction site can be deep within the material. The degradation occurs only at the intersection of the beams and not along their individual paths. The advantages of using this approach(subscription required) in therapeutic situations should be pretty obvious, even if the specifics are quite worked out just yet. For instance, an aliphatic C-C bond has a bond energy of 347 kJ/mol, which corresponds to light of 344 nm, and a C-H bond has a bond energy of 414 kJ/mol, corresponding to light of 288 nm. A scientific blog that forgets to mention that this is two-photon absorption? "Simultaneously" is too restrictive of a term - the absorptions need to occur within a very small time interval that depends on a number of variables in the experiment. Most polymers are compounded with a small amount of functional additives to help their performance in certain, critical manners, such as antioxidants, UV absorbers, slip agents, antimicrobials, antifungals, etc, These are added in small amounts (generally less than 2 wt%) for two reasons. First, they are much more expensive than the base compounds, and secondly, they generally work so effectively that that only small amounts are needed. This two characteristics still don't prevent some people from pushing this too far and not adding enough of the additives (usually as a cost reduction effort [*] but that is another issue for another day. Polyvinyl chloride (PVC) is nothing without additives, albeit the most common additives for PVC are plasticizers which added in much higher levels than noted above. But the other additives noted above are also commonly incorporated in PVC as needed. There is a new report out yesterday (subscription require) that some newly developed additives, amide derivatives of ethylene glycol-bis(2-aminoethylether)-N,N,N′,N′-tetraacetic acid, that were originally designed as antimicrobials, but were also found to have UV absoprtion properties as well. That is big. You now have one additive that can do the job of two. While UV absorbers are typically added at higher levels than antimicrobials, the use of this additive will decrease the amount of proper UV absorber that is needed, an approach that every processor can get behind. I was quite surprised to learn this morning that termites can actually eat plastic, or maybe more properly, they can chew through it. Not just plastic film, but even polyethylene pipe. Why the termites decided going through the pipe rather than around the pipe is something that only a termite would understand (although those with a more comedic sense could start a whole string of "why did the termite go through the pipe" [*] jokes). I live in a climate too far north to be ever have been concerned about termites (for my southern brother, well that is a different story as termite protection of his house is a way of life), so I only know the basics - that they can be destructive to wood. I can only imagine the surprise when people first started finding termites chewing through plastic pipes. Could this "biotechnology" be used to breakdown waste plastics? i.e., a low energy grinder. Can termites be used as a hardness tester for plastics? Or maybe an abrasion resistance test depending exactly on how the teeth of the critters interacts with the plastic? Isis the Scientist had a post yesterday (with lots of discussion) about in what order the various sections of a lab report should be written. Whatever. People, do what you want, just make sure that the final product is good. To me, the most important part of writing a report occurs before you start experimenting: it's the the time when you make up the data. Yes, make up the data. Believe it or not, this was something I learned to do as an undergraduate engineering student, and the professors actually encouraged it. Hear me out. The junior level chemical engineering lab was a royal pain in the posterior. It was long, it involved larger pieces of equipment than any of us had ever worked with and we were given little guidance as to how to run it. Each week, the team would receive a memo written out as if it were something that your supervisor (in industry) might send your way - the overall objective was clear, but there was little guidance as to how to proceed. Days before the lab started, we had to look at the equipment, imagine how it would work and also figure out which equations we would use to analyze the data. We would then have to make a proposal to the prof as to what our plan was and what data we would collect. Now while we all (thought we) understood the equations being used, the biggest challenge we faced was making sure that we collected all the data that we needed when we did finally got into the lab and used the equipment. If we didn't get the data at that time, we were up the proverbial tributary without a proper means of forward locomotion. We would not be given a chance to back into the lab and rerun anything (much like industrial situations, by the way). So the best way to avoid the problem was to make up some data before we got into the lab, and run some calculations with it to make sure that we had all that we needed. This actually provided us with positive two outcomes: first, we could verify that we were going to be collecting all the data that we needed, and second, by making what we thought were realistic guesses for the variables (as opposed to random numbers), we were training ourselves to anticipate appropriate values. If the actual values were significantly different, then we were able to learn why out hunches were so far off. It's still an approach that I use (mentally) to this day - think first about the all the data that you will need and how you will get it. You may not get the results you want, but you will be sure that you can stand by what you do have. Just make sure that you don't confuse your made up numbers with the real data. I generally do believe that a picture is worth a thousand words (or more), but sometimes, they can be misleading. Here's a perfect example of an image in a recent research paper (open access). What you see is an iconic model of semicrystalline polymers – the famous "fringed micelles" - so upon seeing it, I immediately thought that I knew what the research was about: the crystallization and possibly the mechanical properties of semicrystalline polymers. I was wrong. But first some background: The image is made up of two principal components, the crystalline fringed micelles (the portions with multiple straight parallel lines) and the amorphous regions (the portions with the squiggly lines). Whole books have been written about how the volume proportions of each region can be influenced by molecular weight, thermal conditions, additives (particularly nucleating agents), externals stresses or strains, solvents, etc. Yet other books have been written about how the details of the structure (tie molecules in particular, stands that run out of one micelle and into another) influence mechanical strength, and I won't go into those details today. These subjects are quite broad and still actively researched, so it wasn't out of place for me to prejudge what the research was about. But in fact the research was actually looking at the mechanisms of photo-conductivity in poly(3-hexylthiophene), (P3HT) which beside being conductive, is also a semicrystalline polymer. The researcher found that the existence of the crystalline and amorphous regions in the solid is critical to conductivity. The absorbed photons created a charge separation, with the electron being trapped near the crystalline/amorphous interface and the hole being in the crystalline phase. Lower molecular weight materials, being mostly crystalline, do not have both of these regions and therefore lower electrical activity. The results were able to explain a wide range of conductivity results that had been previously reported without explanation. So now the fringed micelle model is not only able to explain crystallization in polymers and mechanical properties, but also photoconductive behavior. Triple duty for a model – that's some heavy lifting. But this also suggests that the photoconductive properties of a given grade of P3HT can be adjusted by altering the crystallinity, albeit at the same time that the mechanical properties are being adjusted. I can see some contradictory optimizations in the future for some engineers. After all, what are the odds that the ideal crystallization scheme for the mechanical properties is identical to that for the photoconductivity? Hat tip to Matteo Cavalleri (twitter @ physicsteo) for the lead.